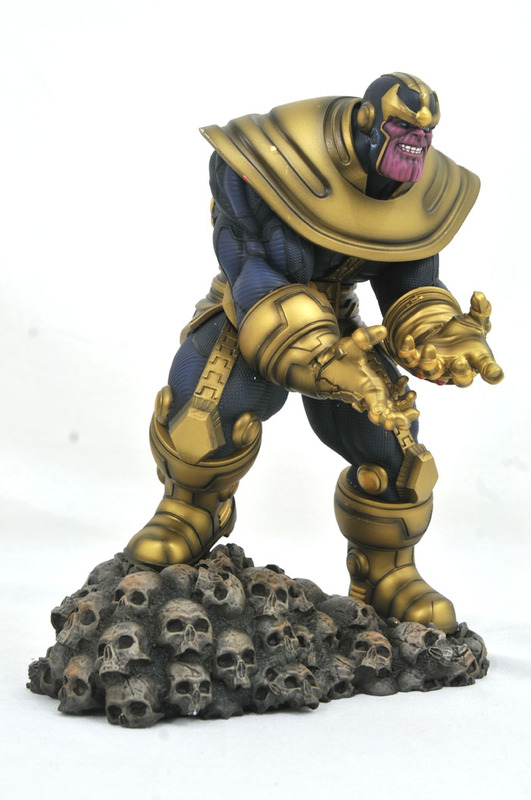 Who’s in your Gallery? 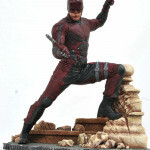 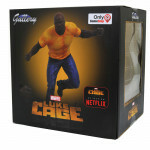 The Marvel Gallery line of PVC Dioramas has taken the collectible world by storm, offering collectors quality 9” scale sculptures of their favorite Marvel heroes at a fraction of the cost of a resin statue. 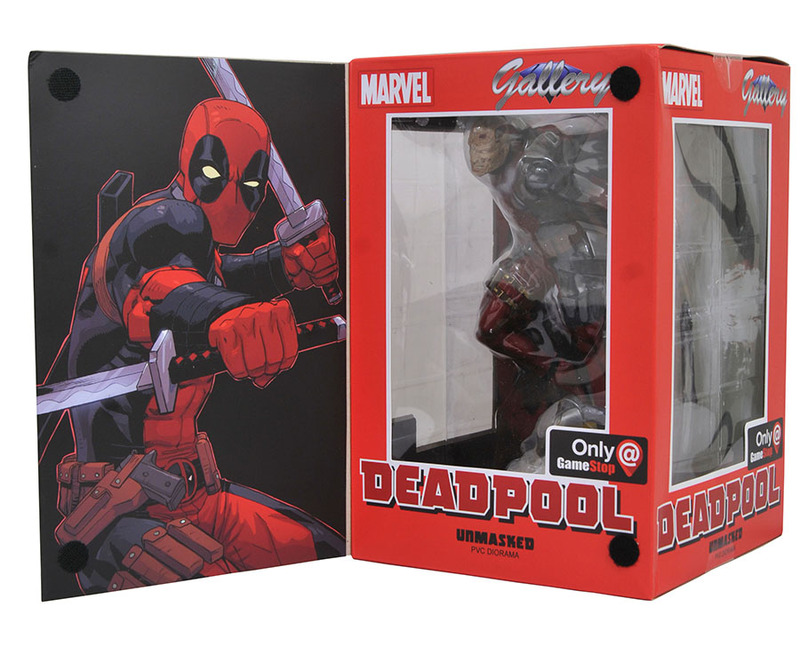 From the beginning, the GameStop chain of stores has been a supporter of the line, offering variants on some of the line’s most popular characters, and now GameStop is offering a new wave of exclusives, including dioramas of Deadpool and TV’s Defenders! 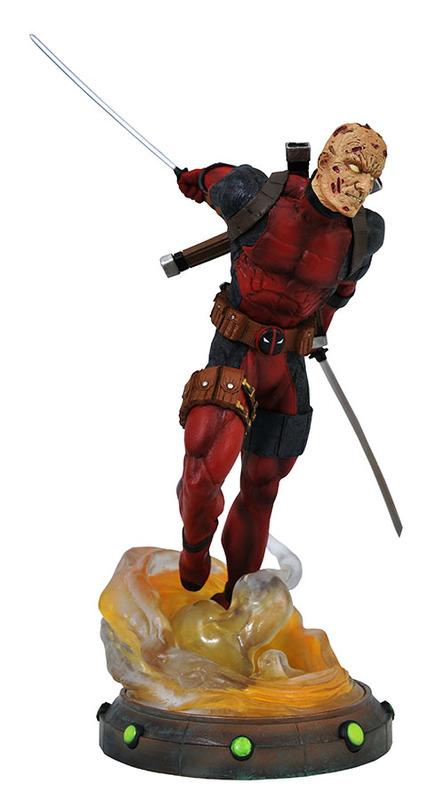 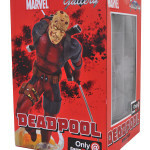 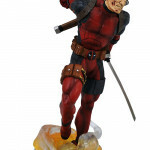 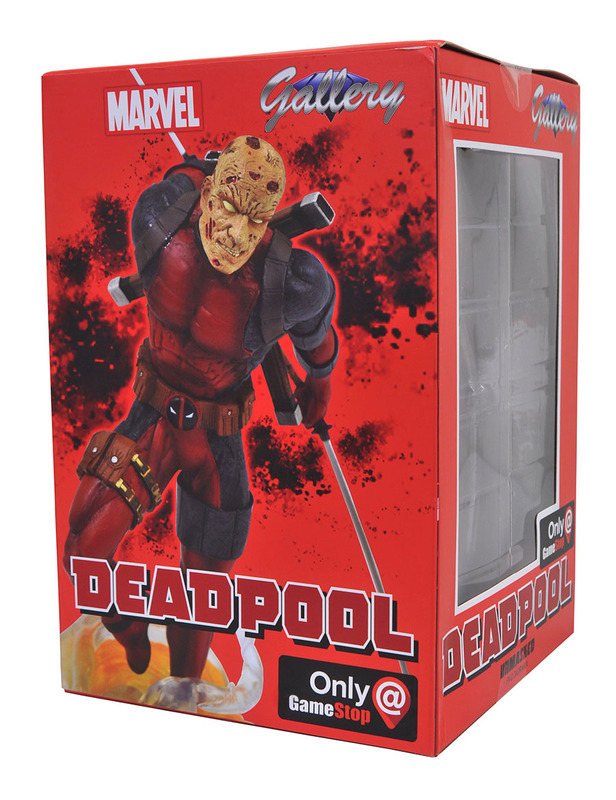 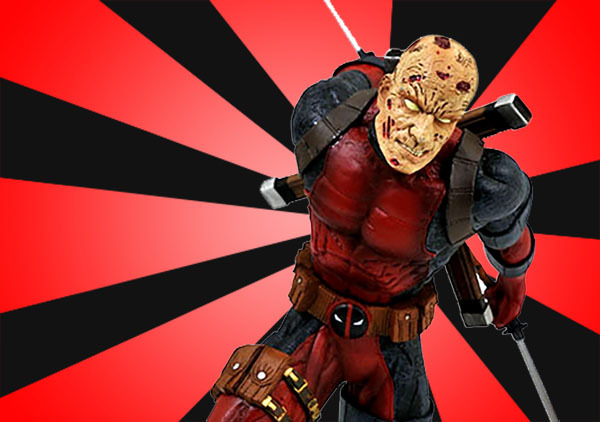 Now available at GameStop stores and online, the Unmasked Deadpool diorama features an exclusive unmasked head sculpt, showing the scarred mug of Wade Wilson, the Merc with a Mouth. 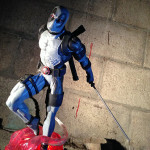 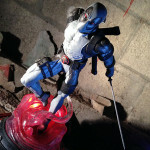 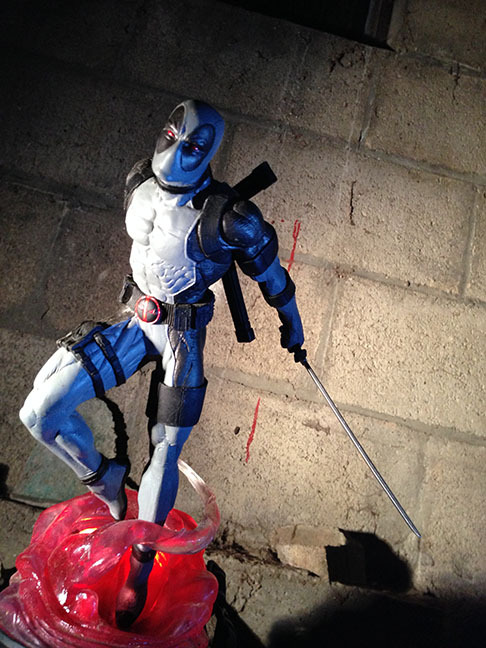 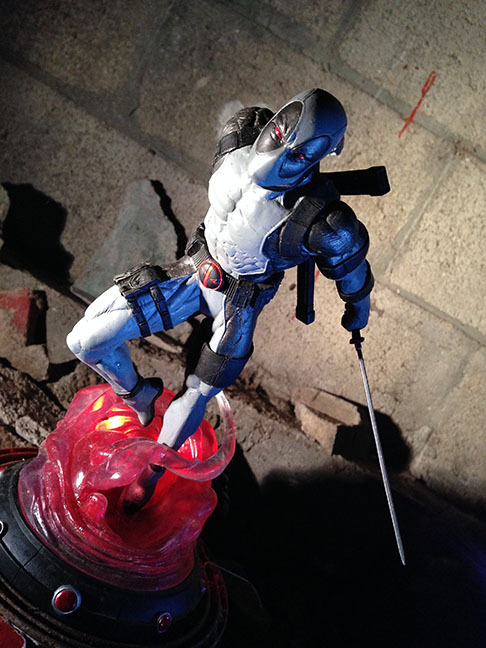 Leaping from a swirling flame, Wade wields his twin katanas with professional precision in this handcrafted sculpt by Jean St. Jean, based on a design by Nelson Asencio. 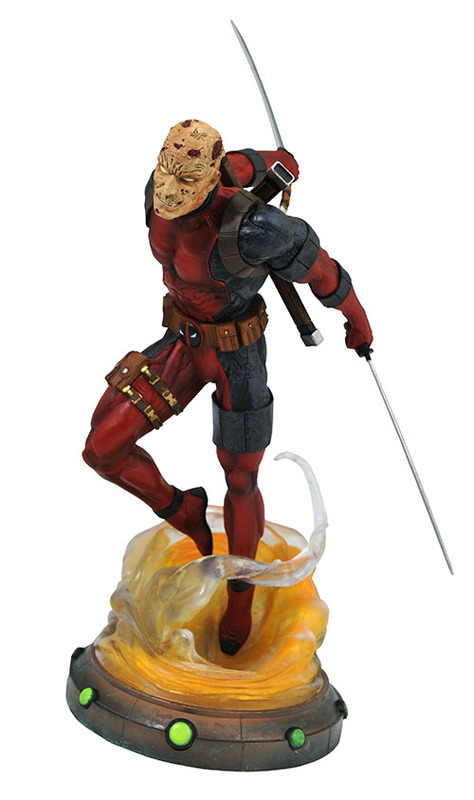 Also available from GameStop is the exclusive X-Force edition of Deadpool, in which Wade wears a masked, grey version of his costume to mark his time with that black-ops team of X-Men. 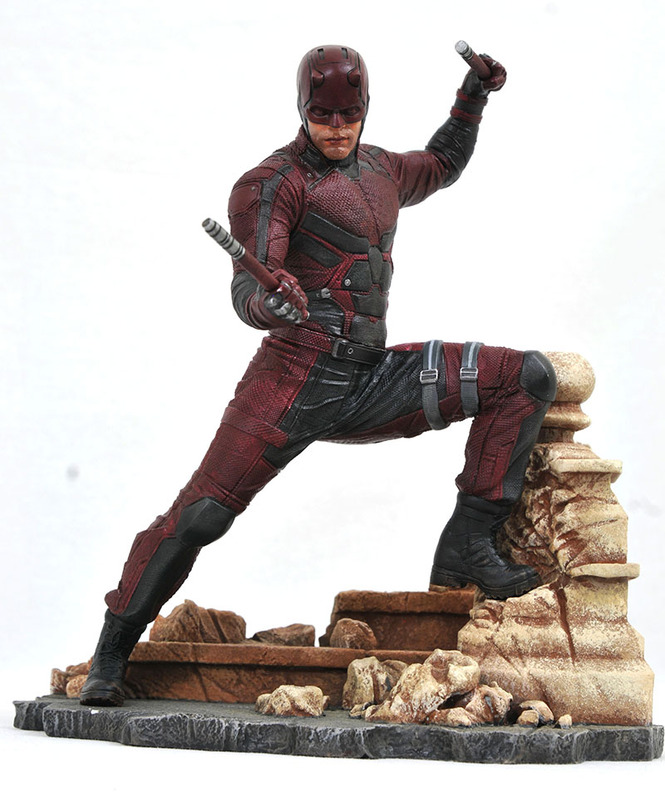 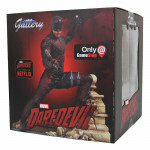 Arriving in stores and online now, GameStop has an exclusive line of sculpts based on the Defenders, as they appeared on the popular NetFlix TV series. 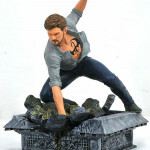 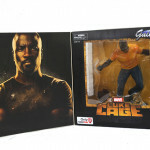 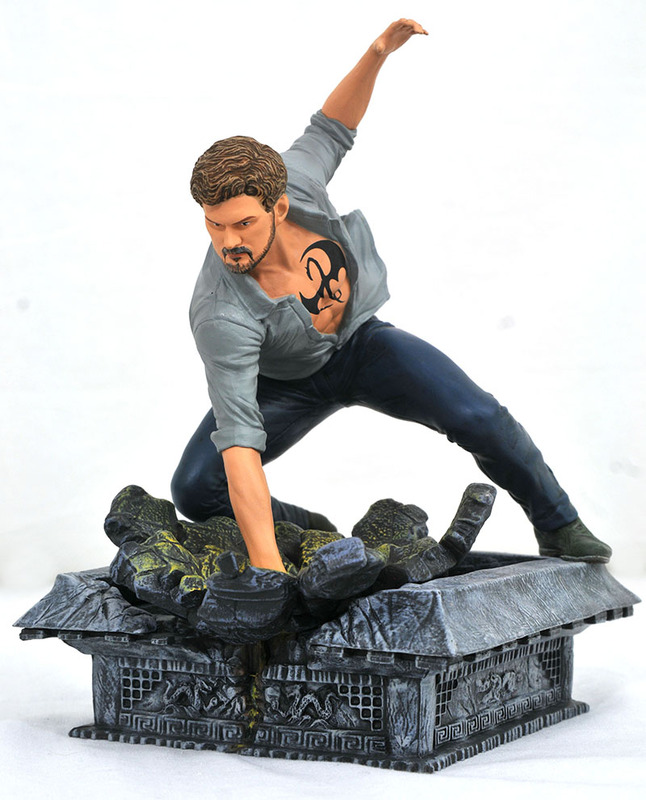 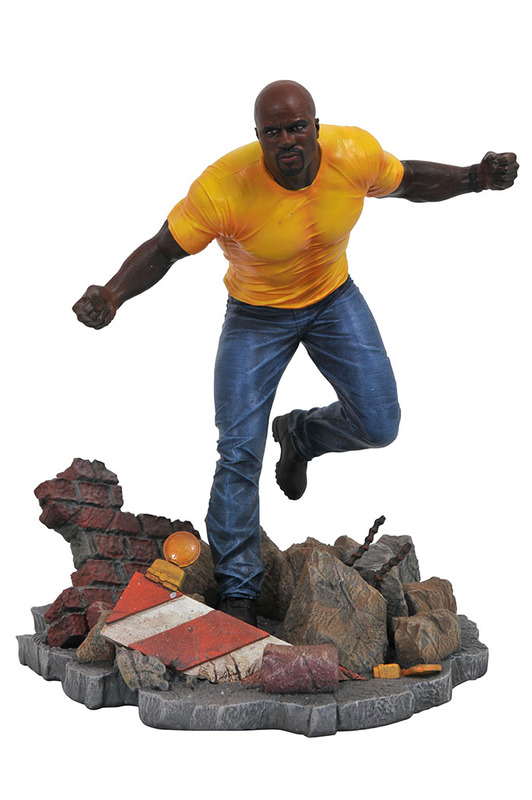 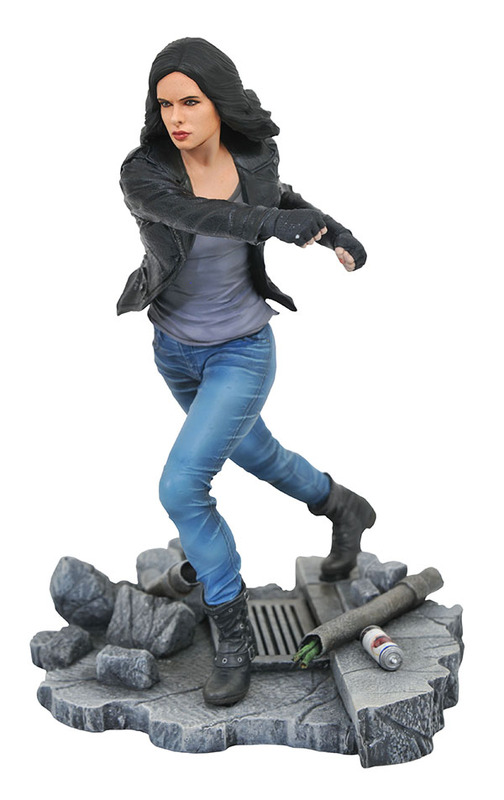 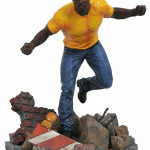 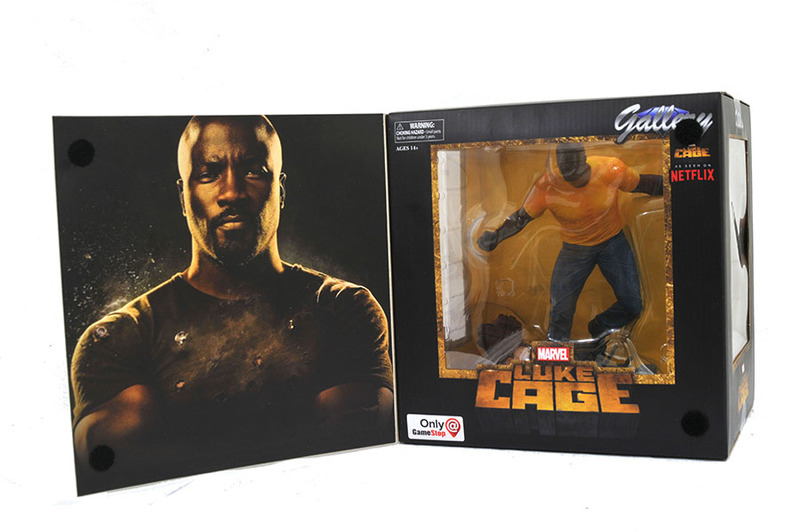 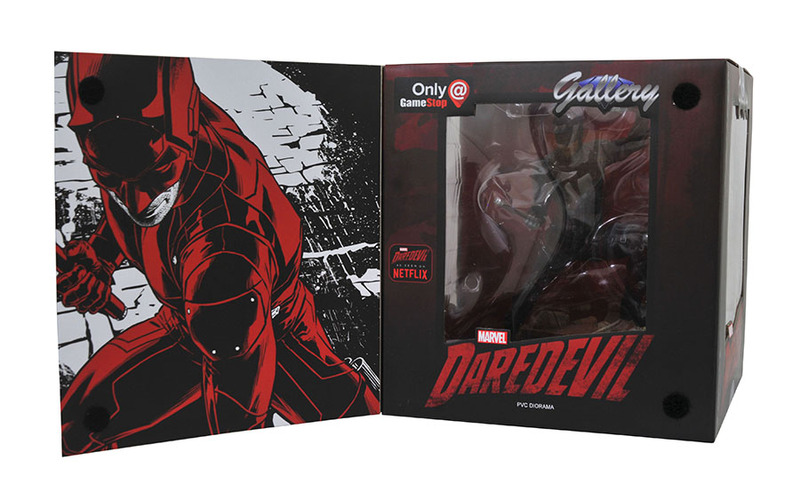 Designed by Nelson Asencio and digitally sculpted by Rocco Tartamella, the teamed-up vigilantes Jessica Jones, Luke Cage, Daredevil and Iron Fist each arrive in an action pose unique to GameStop, featuring the likeness of each actor. 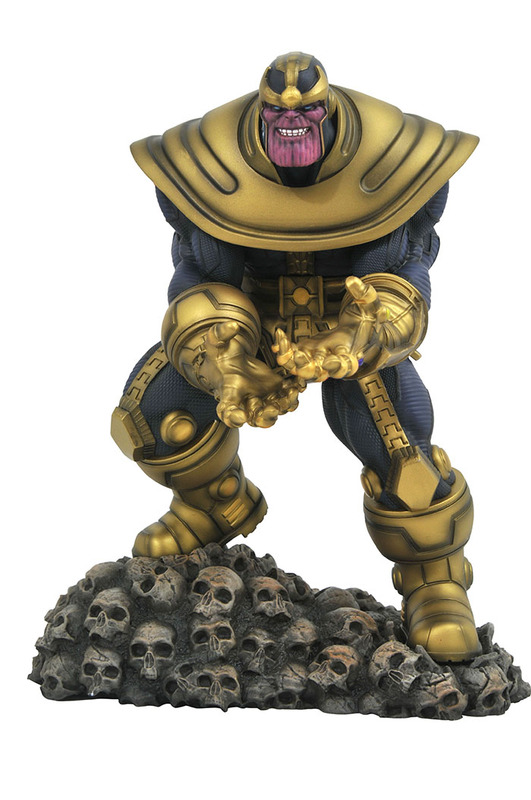 Coming this fall, the comic version of Thanos arrives to take on the heroic forces of the Marvel Universe! 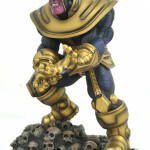 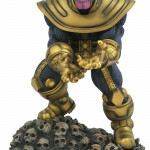 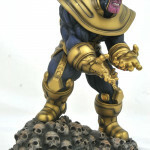 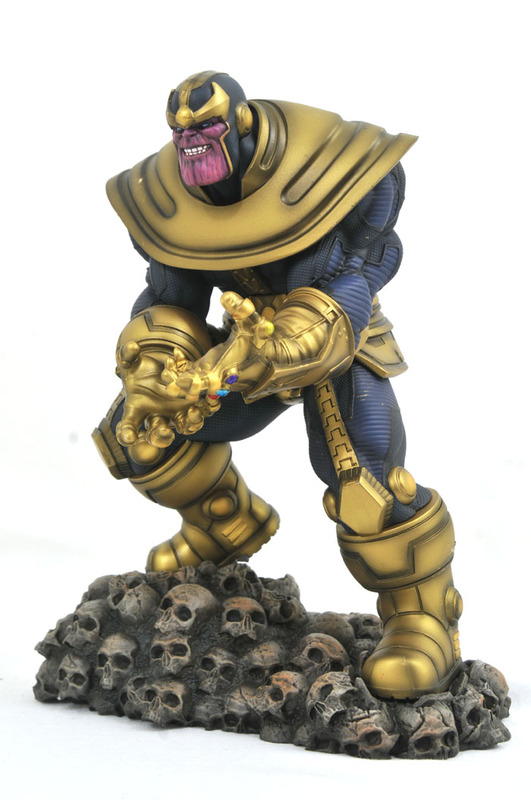 Standing atop a mountain of skulls, the death-obsessed Mad Titan strikes a menacing pose, with a sculpt by Alterton based on a design by Caesar. 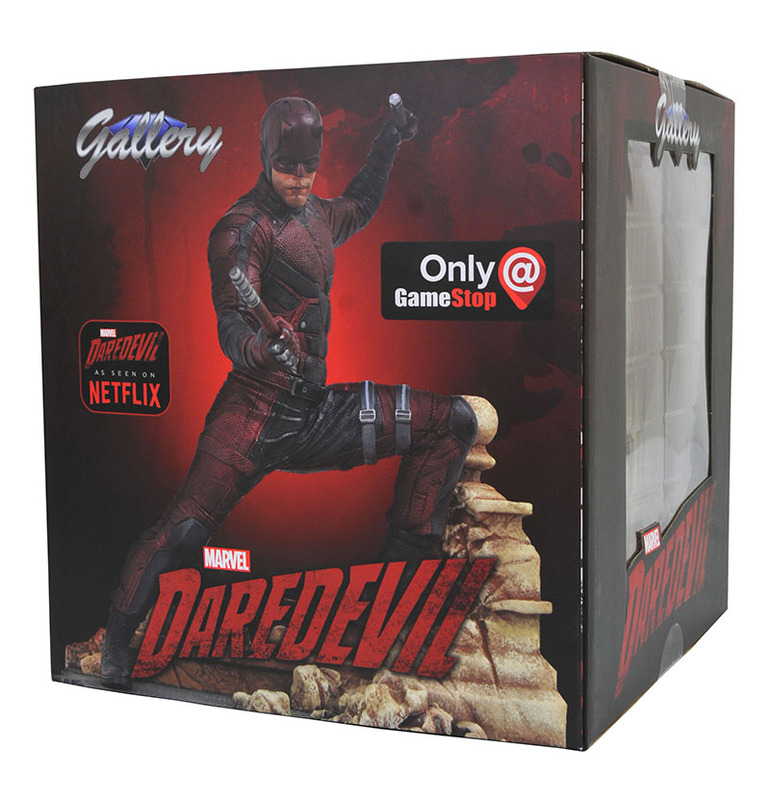 Each 9-inch scale PVC diorama comes packaged in a full-color window box with a hinged fifth-panel cover, decorated with art of the product on the outside and comic or promotional art on the inside. 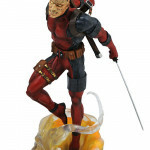 All of these new releases join current GameStop exclusive variants, including the Unmasked Gwenpool variant, showing off the dyed locks of Gwen Poole, the Merc with a Smirk; Red Hulk, a variant on DST’s green Hulk PVC with an all-new head sculpt; and Symbiote Spider-Man, our favorite wall-crawler in his living black suit. 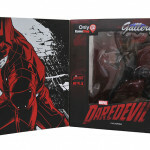 Find these PVC Dioramas online at GameStop.com, or look for them at your nearest GameStop store! 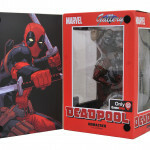 Next Up: Ask DST #393: Marvel and DC!